We can all breathe a little easier today as Davis Partnership put in an amazing performance yesterday with more than half the company riding to work. We finished the business challenge competition, one more time, in the top spot in Denver County. For four consecutive years we have displayed our mettle by leading the area in this event. 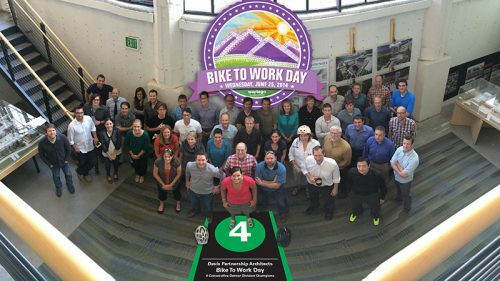 Great job everyone – I’m so proud of this company’s response to sustainable alternatives in transportation. 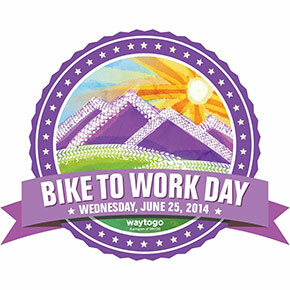 There are a lot of people to thank for making Bike To Work Day such a success. First and foremost, thanks to all of you who rode in – we literally couldn’t have done this without you. We can’t forget the Principals of the firm who endorse our endeavor. And finally a big thank you to all those who put the details in place. Great job Davis Partnership!